August continued at full force here at the Bike Index. SF bike messenger and all around recovery ninja @r27d goes for a rare back-to-back recovery 'twofer'. This is his ~13th (?) recovery. Seriously, we kind of lost count. "Another Bike Index user was looking for her stolen bike that was the same model .... (but) she found mine instead ..."
"The idiots who stole my bike turned the phone in the pannier back on," leading to GPS tracking ... and a bust. "When the Omaha Police contacted me they had not entered the serial number ... from the police report. Fortunately they got a hit on the registry I made with Bike Index." Portland Police's @ppbeast asks for help ID'ing a bike. We ID it 24h later, and it comes home. Rivendells, Cervelos, Felts ... jeez. We have a spendy crop of bike recoveries in here! These servers don't pay for themselves, folks - and $5 goes a heck of a long way here at the Bike Index. So please - kick some support our way if you can. "A guy steps in a pawn shop in Seattle and is trying to sell the bike only for $100! They check Bike Index - and find that the bike is stolen. They let the guy know that the bike is stolen and they guy runs away. They called me saying that they have my bike. Thanks guys! " "Somewhere between our posting here and your encouragement to file a report, they knew who to call when the bike turned up." A Portland Police Bureau recovery ... one of many such PPB recoveries this month. "A King County deputy arrested a man riding my bike in White Center (about 8 miles south of where the theft occurred) ... No other details unfortunately... "
"SFPD recovered it and found out I had reported it stolen via Bike Index"
"Recovered via Bike Index user tip that it was on OfferUp. Long story short, I was able to recover the bike. (Not without some drama and blue lights. Got the guy arrested, too.) Thanks again for your help! The tip off was exactly what I needed. I hope to pass it forward for someone..."
The backstory on this bike is so crazy long I simply can't post it all here, but this bike was stolen, spotted, lost, spotted again, then the guy who had it assaulted somebody who went after it - and then the guy was finally arrested by a forest service officer. "He had a ton of kayaks, computers, tons of stolen items with him. " Owner says: "The bike has definitely lived a rough life the last month. All in all though she can be fixed and will be fine :) We are so grateful to all the people who paid attention." "Thank you for running this site. I've know other folks who have been able to recover their bikes thanks to Bike Index. Today, I was able to quickly see a bike out of place, narrow the model and year through a quick search and find it minutes later on your site. 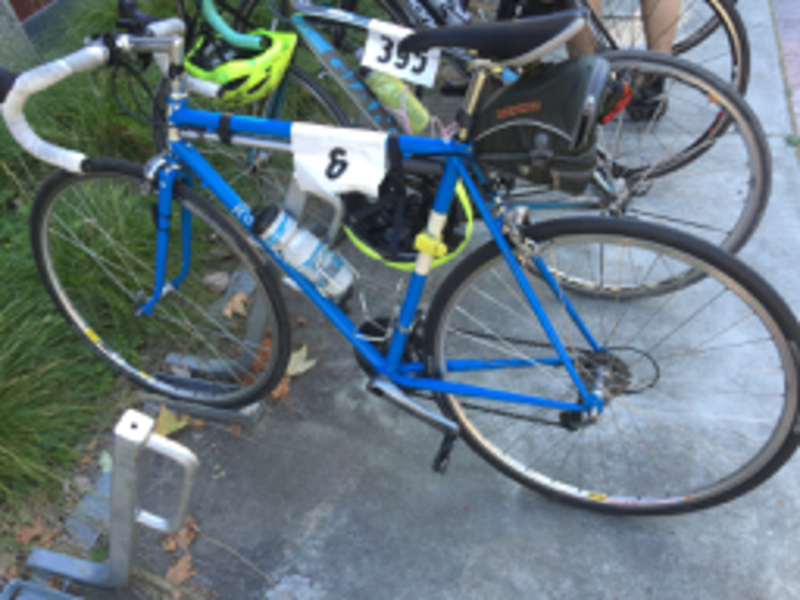 Being able to offer SPD the incident number and serial number, they took the call seriously, responded fairly quickly, and recovered the bike." Ed note: we continue to support more anti-theft efforts by the City of Seattle. We'd love to have more help! 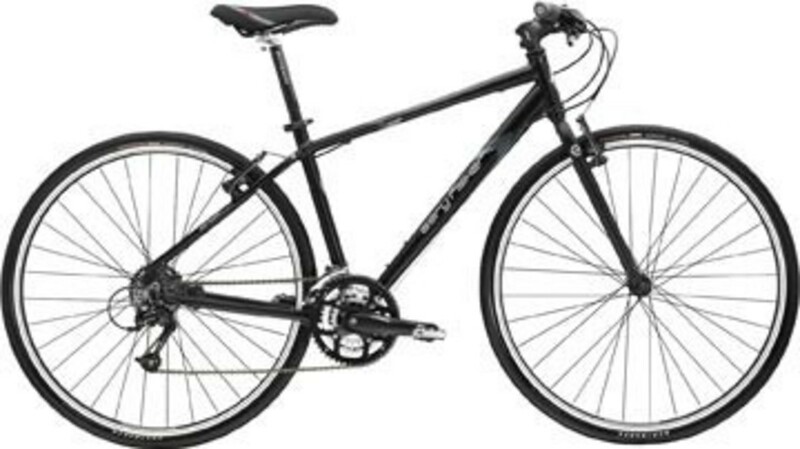 "Another Bike Index user was looking for her stolen bike that was the same model. She found mine on a Craigslist add and messaged me to check out the listing to see if it was mine... (it was) "
"The idiots who stole my bike turned the phone in the pannier back on. I guess it never crossed their minds that signed in Google calls home over WIFI just as well as LTE. I parked across the street from a certain single digit motel in SE and called 911 to report a "crime in progress" with my case #. Police arrived and went to where my GPS precisely indicated. They found bikes (unfortunately not mine) drugs, a shotgun. You get the picture. I thumbprint unlocked my phone and handed them another felony 1 charge. While the officers were upstairs, I was downstairs and was approached by a local "commodities dealer". He stated that he knew where my bike was. He went so far as to tell me that he had ridden it and complimented me on my build. Surreal. I actually sensed sincerity. He called me this morning and adamantly denied any involvement in the theft. I kinda believed him. He met me in the parking lot of an upstanding establishment and paid him what I could get out of the ATM for reward/ransom. He stated that he'd try and recover my bag, rack and fenders. I actually believe him. I guess that I'm kind of proactive and a really lousy victim. I've been up here for 12 years and it just keeps getting worse. A I stated in my post I'm proactive and a lousy victim. Where I'm from proactive seems to be interpreted differently. And the victim thing? People here seem to relish that title way too much. I've just decided to turn up the heat on the local dirtbags. They've gotten way too comfortable. "Advisory groups" and committees don't stop criminals. Making them less comfortable does slow them down. Thus ends my rant." "Thank you, so much, for your help. Without Bike Index I probably would not have found it. When the Omaha Police contacted me they had not entered the serial number and information from the police report. Fortunately they got a hit on the registry I made with Bike Index (via LEADS Online). Keep up the good work! " 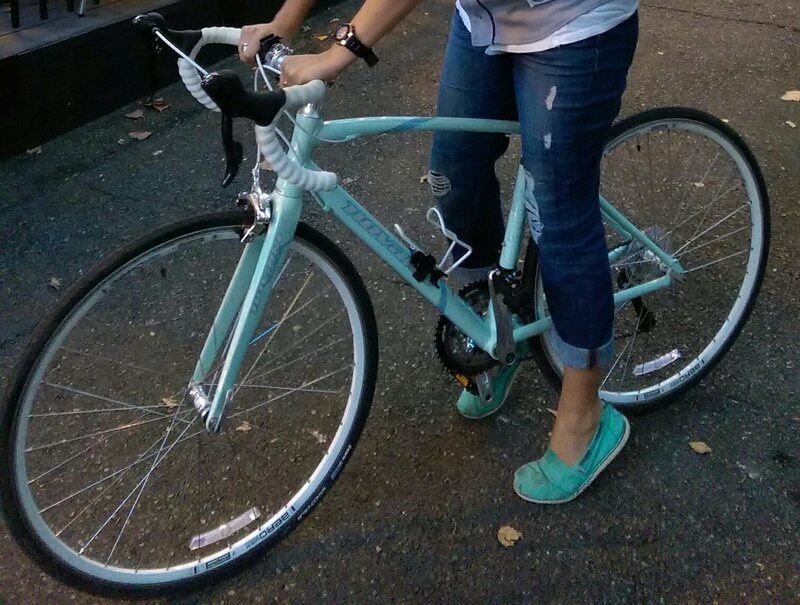 "Portland Police found my bike on a chronic bike thief downtown! So happy to have it back :) "
"Hi. (redacted) from stolen bikes Nola here. I think (redacted) recovered your bike. I have it at my house. " "Seattle PD recovery - RECOVERED BY SEATTLE PD ON 08-07-2017 AT 0020 HRS." An epic SF recovery. 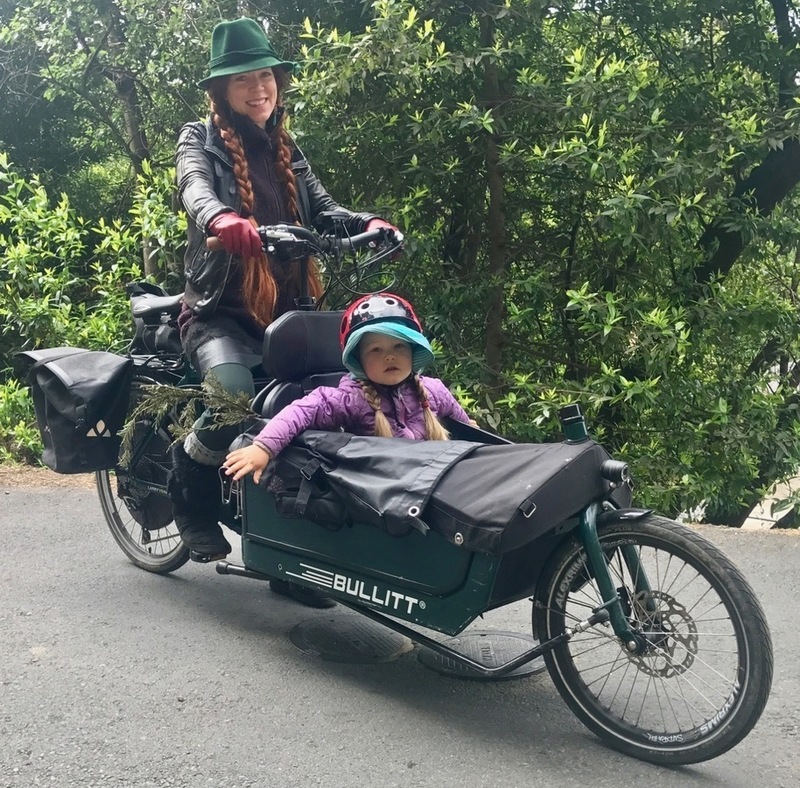 In short, B had her Bullitt stolen in Berkeley, only to have it pop up a couple of days later when @bikepretty spotted it in the back of some sketchy truck and tweeted about it. What happened next? A ton of folks from the FB group SanFranciscoBikeRideCrew kicked in while I was on the phone with the owner - one of them even tailing the truck around SF for a while until it was clear the guy was coming to return the bikes. We love cargo bikes, and we love this recovery photo, too. Thanks for the assit SanFranciscoBikeRideCrew! "Someone bought my bike and after checking Bike Index and realizing it was stolen he immediately contacted me and returned the bike. Big thanks to Bike Index and the person for getting my bike back to me. Yes it was the one posted in the past 24 hours. Thank you for offering this wonderful service you are helping a lot of people!" "After posting to Twitter, FB, LN, on Tuesday (redacted) reached out to me via Twitter that someone on next door has tried for days finding me. Their friend had found the post and shared with him and had seen my post. (redacted) reached out with my contact info to (redacted) who contacted me minutes later. (redacted) mentioned that he saw someone trying to cut my bike lock, then shouting "this is my bike!" 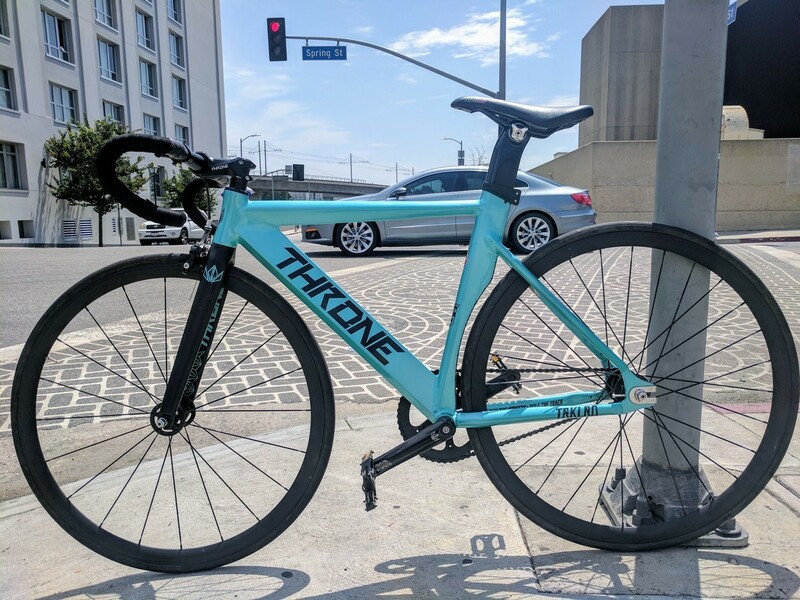 This is a great success story, what helped me was the SFgate article on recovering my bike, the fact that placed tens of stickers on my bike to make it unique, the power of social networks, and that there are some genuinely brave and awesome people out there! " " A few standup citizens messaged me that they saw it posted for sale online, and then I worked with the local police to recover it." 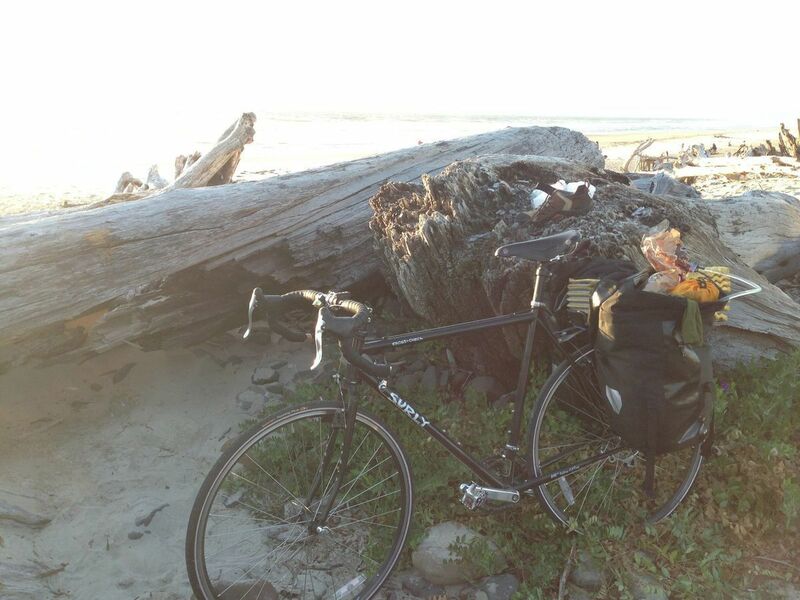 Found by the @ppbbiketheft officers - "Recovered a Surly today in Waterfront Park that was stolen in 2013! Post your bikes publicly and there's always hope!" "Guy tried to pawn it, serial number flagged as stolen. Think I saw it on Craigslist actually. Then it turned up getting flagged at a pawn shop shortly after. Unfortunately the guy probably got the money from the shop and cops said it would be hard to prove he knew it was stolen." "Some one sold to a pawn shop for 80$ - and unfortunately in order to get it back I had to pay the 80$ - but the scumbag is in jail for 10 years for breaking and entering and robbery ." "A thief tried selling it through local classified site. He brought it to the gas station where abouts she wanted to sell it and when confronted with serial numbers and the camera filming his face and bike frame, he run away. Captured the entire event on the video. " Another sweet recovery via Bike Index + Portland Police: 1) @ppbeast posts for identification help, and 2) Bike Index IDs the bike a day later, leading to a recovery. From the owner: "Someone off of this site sent me a link to the PPB twitter account that matched the description/photo of my bike, and that was it! Shortly after I was in touch with the Portland police who confirmed it was mine and I now have it back! I really appreciate the effort on all parts as I was sure it would be gone forever. Thanks so much guys." "Hello, my husband found a bike matching this description today in Seattle in the bushes ..."
Luckily enough I spotted a "Found Bike" posting in my local NextDoor feed here in Portland OR ... and of course it matched a bike we had on file. 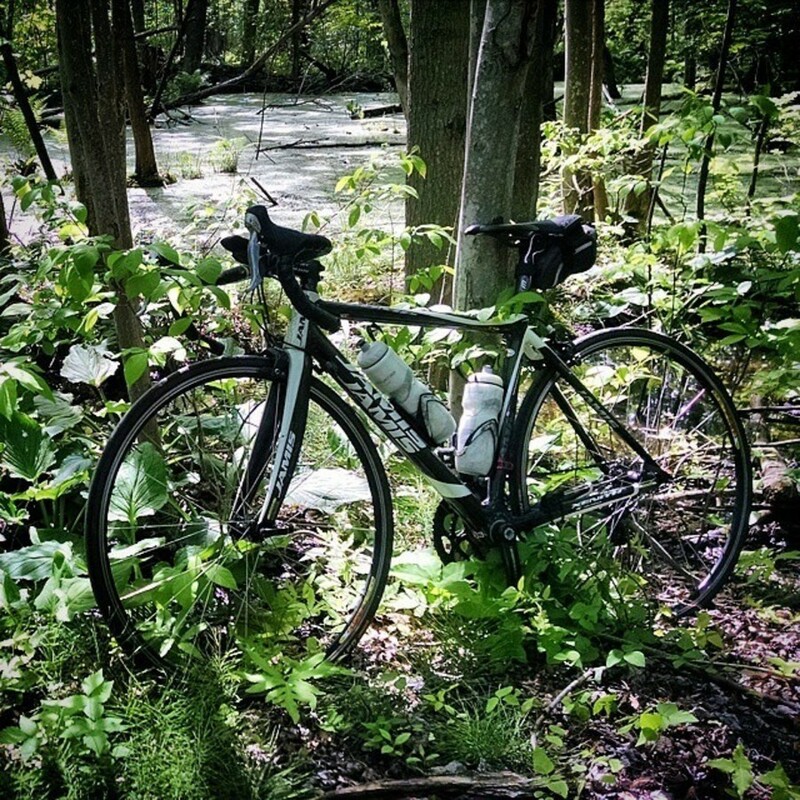 "A local person took picture of bike tossed in bushes...sent to wife who searched Bike Index - and BAM - finds my bike on your site...contacts me and I pick up an hour later! " "After a few weeks, my precious felt was finally returned to me. 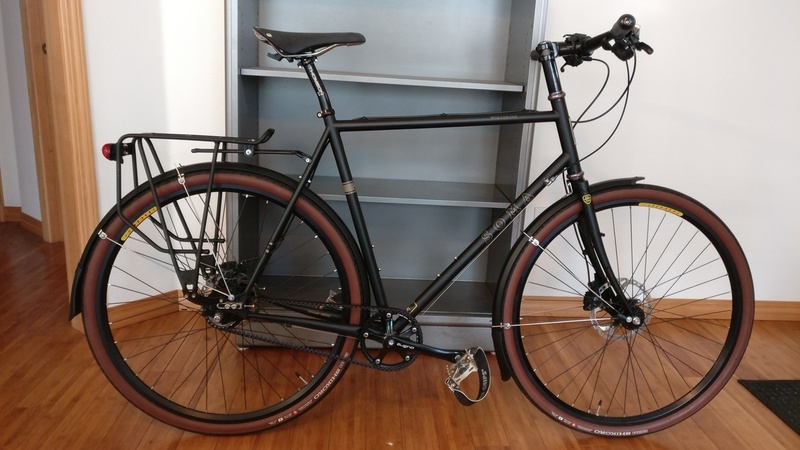 The thieves tried to sell it to Circle City Bicycles and the clerks working the counter recognized the make and model, forked over money for recovering the bike, and notified the authorities. If you're a cyclist and you need repair work or bike components please give Circle City Bicycles your business." " Hey!! I think I found your bike! And I feel pretty sh*tty because if I'd looked on this earlier you would have gotten it back a lot sooner..."
" Bike ID'd through a stranger who identified it at a pawn shop via a google search of the serial number ..."
SF messenger and general stolen bike recovery ninja @r27d is at it again - spotted this stolen IBEX, called it in, and freed it. "A bike messenger found my bike locked up at Civic Center in San Francisco. He'd recognized it from Bike Index and matched the serial number! He contacted me, added his lock to the bike, and waited for me and the police (who helped me recover it). So very grateful to the bike messenger and so glad I used Bike Index. I'm surprised and overjoyed that I recovered the bike. Success!" ... and then @r27d literally does the same thing the next damn day with an un-serialed Sycip. " Got a call from a local (SF) bike messenger that spotted it and was able to take possession of it, and flag SFPD - super rad! " "Hello - I found your bike for sale cash (redacted) pawn on Aurora ... (later) Thank you, I have and am in contact with the pawn shop (the lady on the phone was very nice and informative), and they were able to provide me with a Seattle PD contact in the Pawn Division who will be able to assist." "Hello this bike is listed on Kijiji Ontario, area ... from my experience usually the seller is actually from another city though." 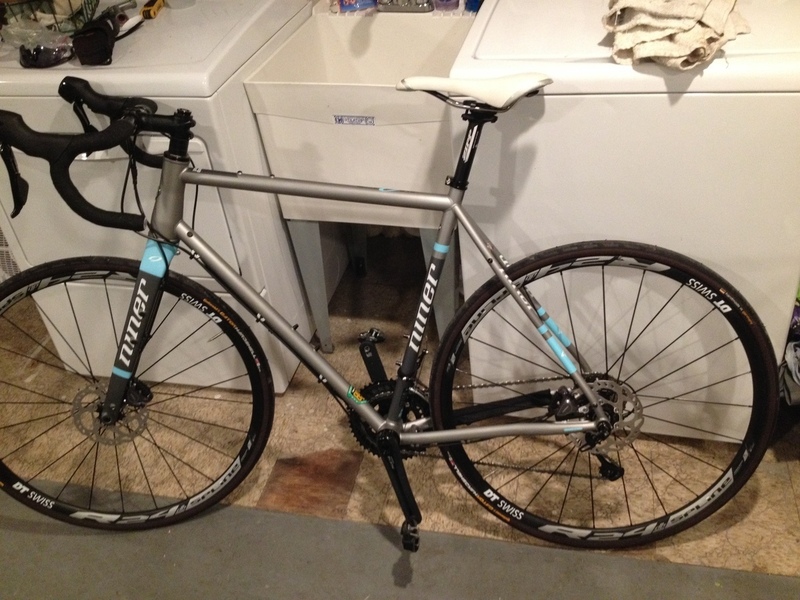 (Later, from the owner) Wanted to let you know, I've recovered my stolen bike, almost a year later. I setup a buy and local police sent an officer under cover and confirmed it based on the serial number on my power meter that was on the bike!" A sad case of an owner ransoming his own bike back ... but it's a Rivendell, so ... worth it. 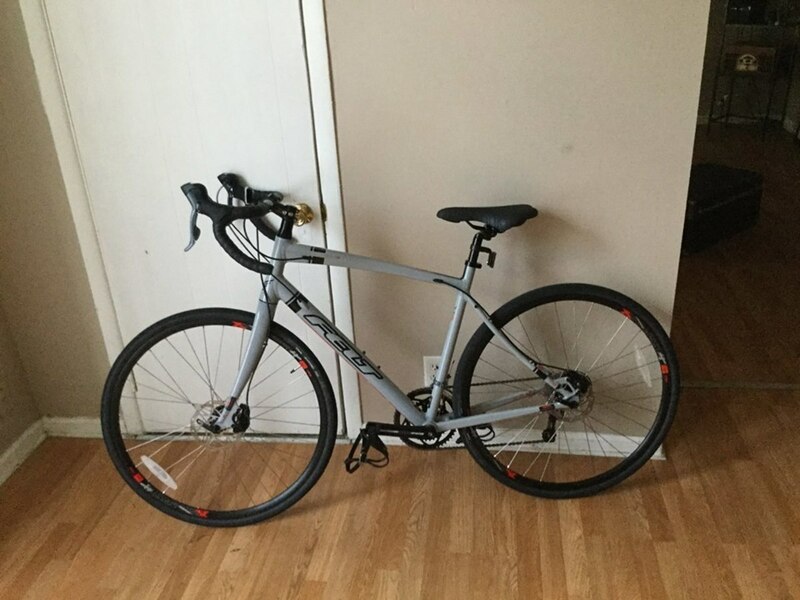 "(Bike Index user) found out that a Rivendell Roadeo was being offered for sale for $200 via OfferUp. She sent me the link to the offer and told me how to go about getting my bike back. The picture of the bike in the offer matched the picture on Bike Index. I contacted the police but they were not very helpful as I had no serial number for the bike. I met the seller in San Jose, paid him $200 and got the bike back. He claimed he had bought it from someone. " Another bike found, ID'd, and recovered by the @ppbbiketheft crew. They were pretty busy last month. "Hello I found your bike near Granite Falls on side of HWY 92. I was considering restoring it. Wheels were trashed, seat was trashed .... the frame seems like it is in fair shape. I'd happily return the frame to you. I'm a Cascade.org season-pass member." 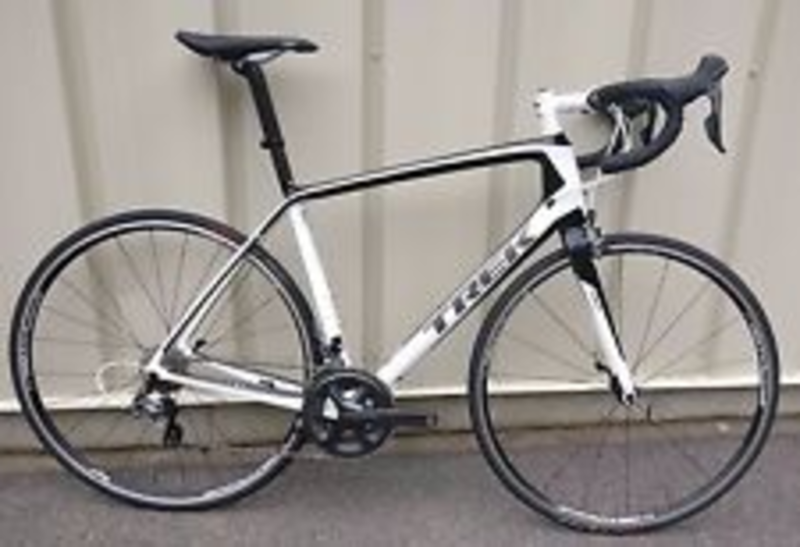 "Somebody found it offered on a 'sales' website, and checked on Bike Index. He warned us. We bought it back." "THANK YOU SO MUCH! We have retrieved my sons bike. YOU GUYS ARE AMAZING! I am a single mom that depends on my son having reliable transportation to and from school since he travels far. I really couldn't afford this bike but I needed something that could survive my over 6ft 14 yr old. ... this is his transportation from Portland to Milwaukie. It crushed his heart. He was spending the night at a friends house.He didn't even tell me the night it happened. Showed up at my mom's house crying, later that day and didn't even want to come home and tell me. He went on for days searching for it. It is amazing what you guys do. Thank you!" "Found it while looking for my own bike at the Laney College Flea Market. Found another guys bike there last weekend — so still no sign of my own, but two other people got their bikes back." 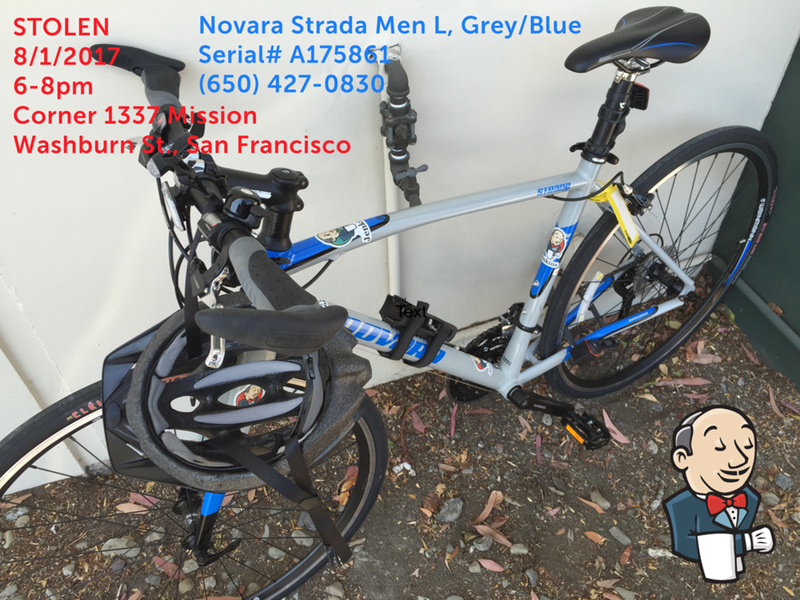 "Someone bought it at Alameda flea market, searched the Bike Index, saw it was stolen, and contacted me... "
" I had gotten a report of a possible siting via Bike Index--much appreciated! Thanks to the attentive BART police, who it turns out were called as someone had broken the lock and was stealing the bike. I had (already) made a report to the Berkeley Police Department, which was rejected because the incident happened on BART property ... I’m so grateful! " " A Portland Police recovery of a bike stolen in a commercial robbery ..."
Recovered with the help of Dave @ CyclingUtah and a local spotter. Good job, guys! And that was August, folks. It was pretty tiring! Keep your rides safe folks, and we'll see you in September.